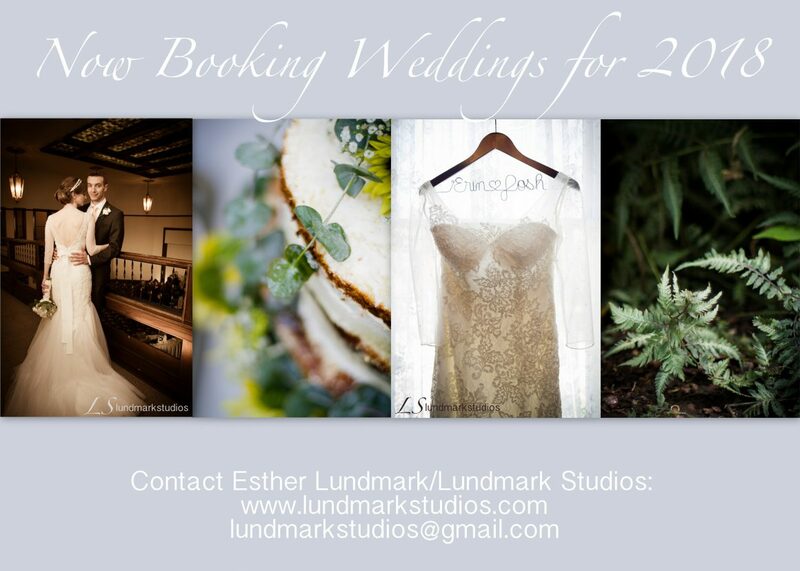 Capture the Moment with Esther Lundmark L U N D M A R K S T U D I O S Welcome! Thank you for visiting my page! My name is Esther Lundmark. Below is a little more about me and what I offer. If you are looking for your family or wedding photos to be captured in a journalistic, but truly unique and classic way, Lundmark Studios is for you. I am a photographer with a passion for capturing the moment, whether during a wedding or a maternity session. I've been photographing weddings for over 10 years now, and had a gallery/shop/studio for 5 years at the Majestic Theater in Kankakekee, IL. I am pleased to serve Chicago land and surrounding area, and as always, I love to travel. I am also an accomplished fine artist who loves sharing my admiration for other cultures and countries while still taking root in my community by sharing my passion for the arts. I've been teaching private art classes (drawing and watercolor) for over 4 years now, and it's been such a joy to share my knowledge and watch my students improve. My pricing is reasonable and I can create custom packages to accommodate your budget. Below are the services that I provide. Photography: *Wedding, Maternity, Newborn, Family, High School Senior Photos, Pets, Commercial, Documentary/Travel Some Extras: *Commissioned Paintings/Art - over 10 years *Teaching Art Classes - over 4 years *Face Painting - for over 10 years for churches - for the Bradley Animal Hospital, and other various community and private events. My travels include include Europe, South America, and Asia. I have made a business from capturing the beauty of the world and bringing it to the public. Please look at my website, and contact me today to reserve your session or with any questions. I can't wait to work with you! Invest in the memories. Capture the moment with Lundmark Studios. Contact me for Wedding Packages: lundmarkstudios@gmail.com Find me on Facebook: Photography: https://www.facebook.com/LSlundmarkstudios Fine Art: https://www.facebook.com/lundmarkstudiosfineart/ Invest in the memories, capture the moment with LUNDMARKSTUDIOS.